You can still use apps to edit photos and share them to Instagram, but the company is being more selective about which apps have access. An entire industry of apps have popped up around Instagram over the years, not including Instagram’s own apps like Hyperlapse, Layout, and Boomerang. Some of these apps help you edit and share photos to Instagram, while others give you a way to look at your feed on platforms Instagram doesn’t support, like Apple TV. It’s those latter apps that will be most affected by Instagram’s new API change, which cuts off access to any app that wants access to your entire Instagram feed. The changes are a blow to developers, but are designed to “improve people’s control over their content and set up a more sustainable environment built around authentic experiences on the platform,” Instagram announced Tuesday. If you use an app that wants to import your photos from Instagram, with your permission, that’s still OK. But apps like Tangram that display your entire feed will need to shift direction. 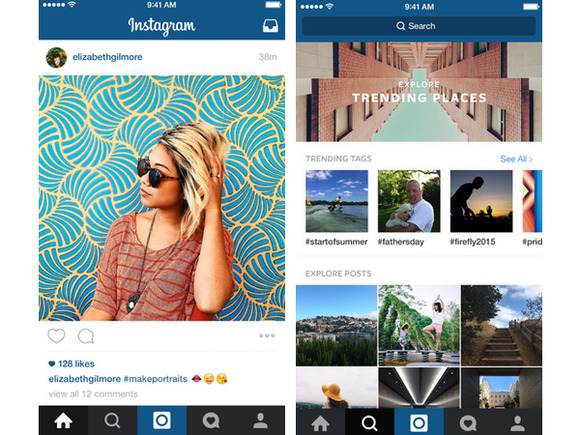 The story behind the story: So what caused Instagram’s sudden change of heart? The company said users are concerned that “it can be unclear where their content is being shared and viewed,” but there were also recent security concerns. A third-party app called Who Viewed Your Profile - InstaAgent, which let users see who viewed their Instagram profiles, was caught harvesting Instagram account usernames and passwords and sending that unencrypted information to a remote server. The app also posted photos on users’ feeds without their consent. Apple pulled the app from the iOS App Store last week after developer David Layer-Reiss discovered the malware. Handing over your Instagram login credentials to a third-party app is ill-advised in most cases, but it’s entirely voluntary. Instagram is ensuring that the apps that have access to its API aren’t deceiving users about what they’re doing or where the information is going.